************AVAILABLE NOW*********** Expecting to attract a lot of interest Whitegates would like to offer to the rental market this 3-bedroom semi-detached house located in the ever popular location of Mirfield with the Town Centre only a few minute&#146;s drive and local transport within walking distance. The property benefits from Gas Central Heating and Double Glazing and briefly comprises of Entrance Vestibule, Lounge, Kitchen, 3 Bedrooms and a family bathroom. To the outside there is off street parking to the front of the property and to the rear. There is a garden to the rear also with garage and patio seating area. Bond £650.00 Sorry No Pets or DSS *********MANAGED BY WHITEGATES******* You will be required to take out a Tenants Liability Insurance Policy that covers any accidental damage to the Landlords property. A copy of the Insurance certificate will be required on the day that contracts are signed. Whitegates are proud to offer this delightful PART furnished 2 bedroom cottage situated in an idyllic backwater location just off Kilpin Hill Lane. Offering deceptive accommodation throughout. Benefits include modern fixtures and fittings throughout coupled with exposed beams and mullion windows, separate living room, dining room, fitted kitchen with washer, dryer, dishwasher, fridge/freezer, oven & hob, 2 double bedrooms and a family bathroom. Loft boarded out which the current owners used as a Cinema Room. **********MANAGED BY WHITEGATES******* Sorry No DSS. Pets Considered with additional pet bond. Bond £695.00 You will be required to take out a Tenants Liability Insurance Policy that covers any accidental damage to the Landlords property. A copy of the Insurance certificate will be required on the day that contracts are signed. 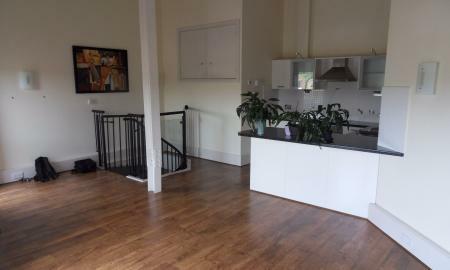 Excellent TWO BEDROOM top floor apartment with large balcony in this Converted Mill. 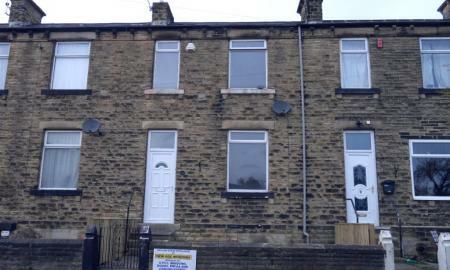 Located in the heart of Dewsbury centre with the railway & bus station situated just minutes walk from the development providing access to Leeds & Manchester. The apartment has a fully integrated kitchen including washer, central heating, Upvc double glazing, laminate flooring, modern bathroom suites and use of the gymnasium. Secure Parking for one car with visitors spaces available. BOND - £675 Sorry No DSS or Pets *********MANAGED BY WHITEGATES********* NOTE: You will be required to take out a Tenants Liability Insurance Policy that covers any accidental damage to the Landlords property. A copy of the Insurance certificate will be required on the day that contracts are signed. 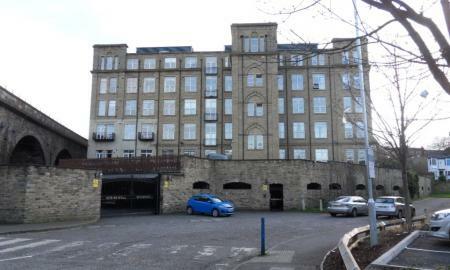 ********* AVAILABLE IMMEDIATELY********* We are pleased to offer this 1 bedroom duplex top floor apartment situated over two floors in this converted Mill. 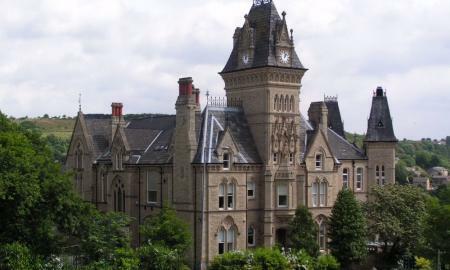 Offered un-furnished with balcony and views located in the heart of Dewsbury centre with the railway station situated just a few minutes walk from the development providing access into Leeds city centre. The apartment has a fully integrated kitchen with washer/dryer, central heating, Upvc d/glazing, laminate flooring, modern bathroom suites and use of the gymnasium and steam room. Bond £595 Sorry No Pets or DSS ********MANAGED BY THE LANDLORD******* NOTE: You will be required to take out a Tenants Liability Insurance Policy that covers any accidental damage to the Landlords property. A copy of the Insurance certificate will be required on the day that contracts are signed. ***AVAILABLE NOW***GAS BILL INCLUDED*** We are pleased to offer for Let this Individual 1/2 Bedroom Apartment set within the Gated Boothroyds Complex. The property features: Entrance Hall, Bedroom, Fitted Kitchen with Integrated Appliances. Lounge, Second Bedroom/Study. Ideally situated close to all local facilities, road links etc. Full use of Gym and Sauna Complex. CENTRAL HEATING BILL INCLUDED. Part Furnished Bond: £595 Sorry No Pets or DSS *********MANAGED BY WHITEGATES******* PLEASE NOTE: Commercial & Sign Written Vehicles Cannot Be Parked At This Property *****CENTRAL HEATING BILL INCLUDED**. *** NOTE: You will be required to take out a Tenants Liability Insurance Policy that covers any accidental damage to the Landlords property. A copy of the Insurance certificate will be required on the day that contracts are signed. 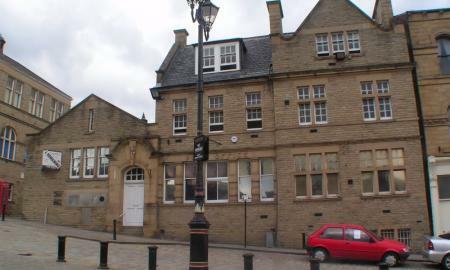 Whitegates are pleased to offer this Unfurnished , two bedroom apartment (850 sq ft approx) converted from the Old Post Sorting Office in the market square in Batley. Benefiting from Electric Heating and Briefly comprises of Spacious Entrance Hall, 2 bedrooms, Ensuite Shower Room, Open Plan Kitchen/Lounge. *Bond £550 *Strictly No Pets *Sorry no DSS ********MANAGED BY WHITEGATGES****** You will be required to take out a Tenants Liability Insurance Policy that covers any accidental damage to the Landlords property. A copy of the Insurance certificate will be required on the day that contracts are signed. Whitegates would like to offer this delightful Un-furnished 2-bedroom cottage situated in a backwater location just off Kilpin Hill Lane. The property benefits from Gas Central Heating and Double Glazing and briefly comprises of Entrance Vestibule, Lounge with Exposed Beams, Basement Kitchen, 2 Bedrooms and a family bathroom. 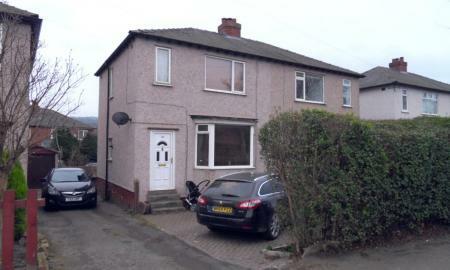 To the outside of the property there is a small outside space to the front detached from the property (no rear garden). **********MANAGED BY WHITEGATES****** Sorry No DSS. Pets Considered with an additional pet bond. Bond £525.00 You will be required to take out a Tenants Liability Insurance Policy that covers any accidental damage to the Landlords property. A copy of the Insurance certificate will be required on the day that contracts are signed. 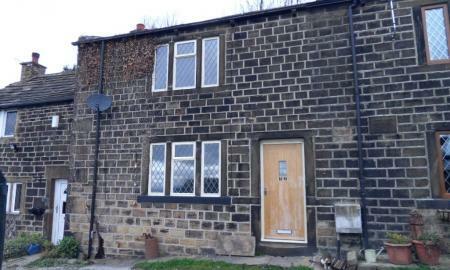 New to the market Whitegates would like to offer this 1-bedroom Mid Terrace House. The property offers good space and is located off the main road offering a good degree of privacy and has been decorated throughout including new carpets. Benefiting from Gas Central Heating and Double Glazing and briefly comprises of Entrance Vestibule, Lounge, Kitchen, Cellar, 1 Large Bedroom and a family bathroom. To the outside of the property there is an enclosed garden to the rear with new fencing, a small buffer garden to the front with gated access and off-street parking and a detached garage. Bond £495.00 Sorry No Pets or DSS ******MANAGED BY THE LANDLORD****** NOTE: You will be required to take out a Tenants Liability Insurance Policy that covers any accidental damage to the Landlords property. A copy of the Insurance certificate will be required on the day that contracts are signed. 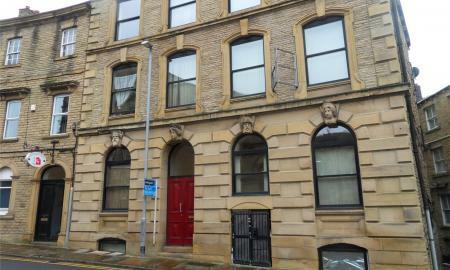 *****AVAILABLE AFTER THE 8TH APRIL ******* We are pleased to offer this one bedroom apartment benefitting it's own private entrance situated within the exclusive conversion in the Market Square, Batley. The apartment comes part furnished with sofa's, units, dining table and chairs, fitted kitchen with oven & hob and washer/dryer, double bed with full bedroom furniture and impressive bathroom suite. There is parking via entrance gates with some visitor parking. ******MANAGED BY THE LANDLORD****** Strictly No pets Sorry No DSS Bond £495. You will be required to take out a Tenants Liability Insurance Policy that covers any accidental damage to the Landlords property. A copy of the Insurance certificate will be required on the day that contracts are signed. We are pleased to offer for rent this self contained 1 bedroom apartment situated on the third floor and ideally suiting a single person. 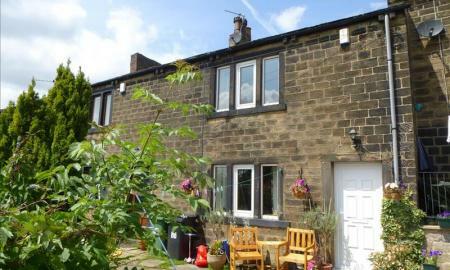 The property is located just 100 metres from the train station connecting Leeds in just 17 mins. The property features: Lounge with adjoining fully fitted kitchen area with integrated appliances (ceramic hob, electric oven, washer drier, fridge/freezer). Double Bedroom and Bathroom/Wc. Double Glazing and gas central heating. * Bond £425.00 Sorry No Pets. * Housing Benefit considered subject to suitable references and guarantor being provided ********MANAGED BY WHITEGATES******* NOTE: You will be required to take out a Tenants Liability Insurance Policy that covers any accidental damage to the Landlords property. A copy of the Insurance certificate will be required on the day that contracts are signed.